Flo started off in 2010 as a private label for the Dutch multi-brand retailer Ko&Flo. What sets Flo apart from her competitors is the fact that the collection is developed in the store. We put many years of expertise into practice in our designs. As a matter of fact, we still have a very close connection with the shop floor to see which products sell well, what kids want (and don’t want) and of course what their mums prefer. At this moment Flo is one of the top 3 brands in Dutch Retail concerning sell-through rate and profit contribution. At a young age, kids know what they want. They adept new looks and styles early by watching TV and media like Youtube. Flo is created for the “early adopters” amongst those youngsters. 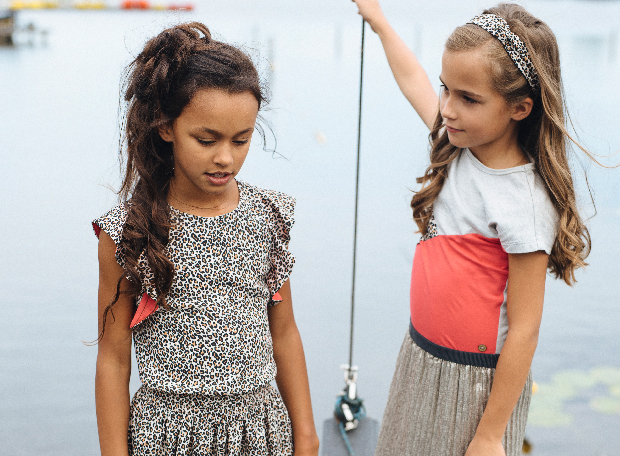 Fashionable but wearable because “Flo kids” are still kids and not small adults.